As popular as wallpaper was in the ’80s and ’90s, it’s been a faux pas ever since. For the past 20 years, you couldn’t find an interior designer anywhere who would recommend wallpapering a room. But lately, it’s been making a resurgence and becoming quite the design trend again. Modern wallpaper prints are popping up everywhere. And that’s not the only reason we love it. It’s inexpensive. It’s easy to install. And it can drastically change the look of a room. 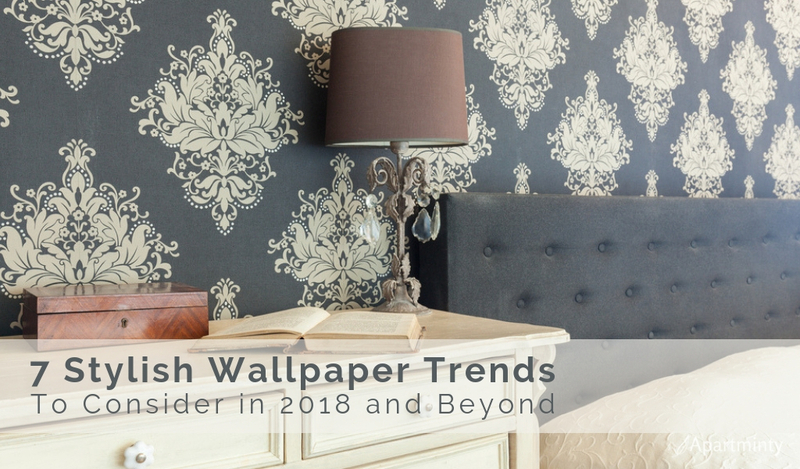 Keep reading for the 7 top wallpaper trends for 2018 that won’t be outdated by the time 2019 rolls around. A bold, bright flower print simply can’t be ignored. To make a true statement, consider wallpaper in an oversized floral pattern. Floral patterns add color, style, and personality to any room. And it lends a fun, feminine touch to any space. We love the idea of floral wallpaper in a large space, such as an open living room or a dining room. 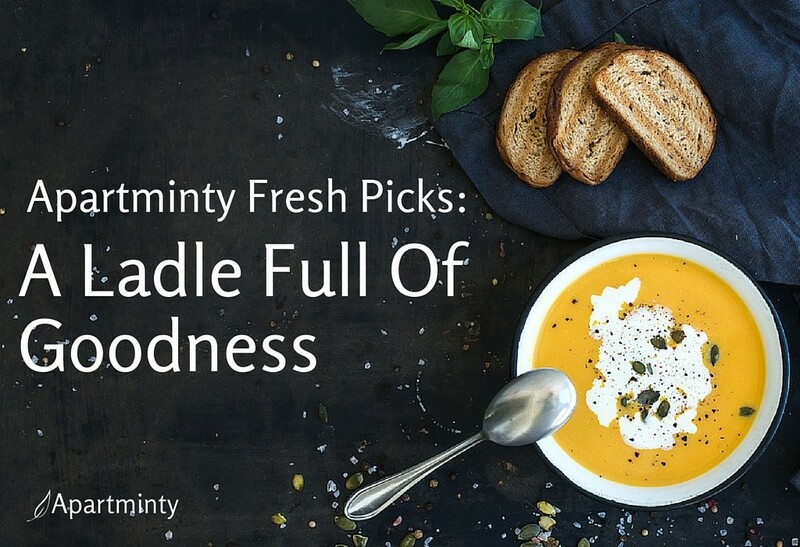 It’s also a great way to bring a sense of spring into your home, even when it’s cold, dark, and snowy outside. New oversized florals aren’t like the floral wallpaper your grandmother had 40 years ago. In the right patterns and color combinations, they look ultra-fresh and undeniably modern. In a small area, such as a narrow kitchen or a bathroom, a symmetrical wallpaper pattern can actually create the illusion of a bigger space. Look for repeating shapes such as triangles, pyramids, or diamonds to awaken a wall and make your space look even bigger than it is. You’ll find the symmetrical wallpaper in all sorts of color combinations from neutral hues to chic metallic patterns. It’s an easy wallpaper trend to incorporate into any color scheme. It’s also a versatile pattern that works well with modern, industrial, and traditional decor. We love industrial-inspired wallpaper for the way it incorporates a metal look and feel into the home. It’s an ultra-modern option that looks beautiful in contemporary homes. It works seamlessly in any room decorated with contemporary furnishings and modern appliances. Industrial wallpaper includes patterns and prints that look like brick or steel. You can enjoy that exposed brick feeling of a cool industrial loft even if you live in a suburban house with smooth, new drywall. When we talk about abstract wallpaper we’re referring to patterns that look like those Rorschach inkblot tests. The beauty of this pattern is that they can occupy your eye for hours on end. Everyone sees something different in a Rorschach print, and the colors and shapes are designed to make the mind wander. You can choose from endless colors and patterns, some of which can be quite mesmerizing. Depending on the scale of the print, it can take on a very vintage or very modern feel. It’s a chic look that works well in both retro and contemporary homes. With the popularity of symmetric wallpaper patterns, it comes as no surprise that geometric prints are trending as well. With geometric wallpaper, you’ll find eye-catching colors and bold patterns in symmetrical shapes. These shapes combine to create large repeating patterns, so they’re perfect for the decorator who truly wants to make a statement. If you find a bold, large print you love, don’t feel as though you need to paper the entire room. 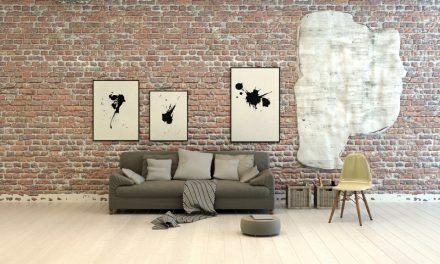 Identify one big open wall and hang wallpaper on that entire wall in place of hanging wall art or photos. You can take this trend in a variety of different directions. You’ll find bold, crisp shapes and more spiritual designs, such as those you might associate with meditation or yoga. Get creative with geometric wallpaper and you can turn any space into the room of your dreams. You know the old saying – what goes around comes around. So it’s only fitting that retro designs are hot again. The trick with retro wallpaper is to be selective in your color choices and patterns. You don’t want your retro designs to be mistaken for actual patterns from the ’70s and ’80s. Instead, opt for retro-inspired designs that have a totally modern look and feel. To prevent your room from looking outdated, stick with patterns that are minimalist or folksy. Add contrast to the room by mixing your retro wallpaper with wood finishes and classic furniture. By mixing and matching textures and finishes, you can create a room that looks perfectly chic. You don’t have to eat raw foods and drink green juices to enjoy the beauty of all things organic. Organic simply means that it’s related to something that exists in nature. If you want to make use of the organic wallpaper trend, you’ll enjoy a world of design possibilities. We love organic wallpaper styles that bring the beauty of nature indoors. With patterns such as oak or birch trees, you can add instant style to any space. We especially love them in bedrooms or living spaces that have a lot of natural light. From botanicals to wood prints to lifelike trees and leaves, organic wallpaper is a surefire way to showcase your design ability. These are perfect for coordinating with everything from industrial furniture to Scandinavian-inspired designs. Want to freshen up your dining room? 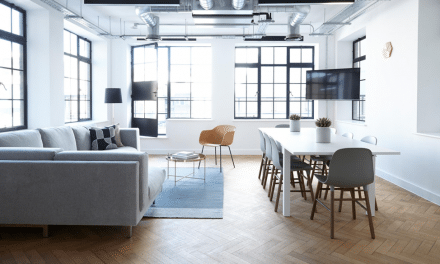 Thinking about redecorating your living area? In the mood to create a brand new bedroom retreat? With the resurgence of the wallpaper trend, you’re no longer limited to picking a solid paint color for each room. Get creative and consider installing some wallpaper instead. With the revival of wallpaper comes the risk that you can create a space that looks outdated. So don’t fall into that trap. Stick with the key trends of 2018 and opt for wallpaper in symmetrical, industrial, abstract, geometric, and retro prints. Prefer something more feminine or more natural? Choose oversized florals or organic patterns that can help you bring some of the beauty of the outdoors inside. Just like applying a fresh coat of paint, installing new wallpaper can drastically change the mood and look of any room. And with so many stylish new options to choose from, you’re sure to find a pattern or print that’s perfect for you.